Whether you are a gardener or not, spring is a season to love and appreciate. Temperatures warm up, days grow longer, and many of the local flowers and trees are in full bloom. However, we aren’t the only ones who appreciate the spring flora. Hungry deer can venture into our yards to feast on newly planted flowers. So, how do we keep them out? There are several ways you can deter them. 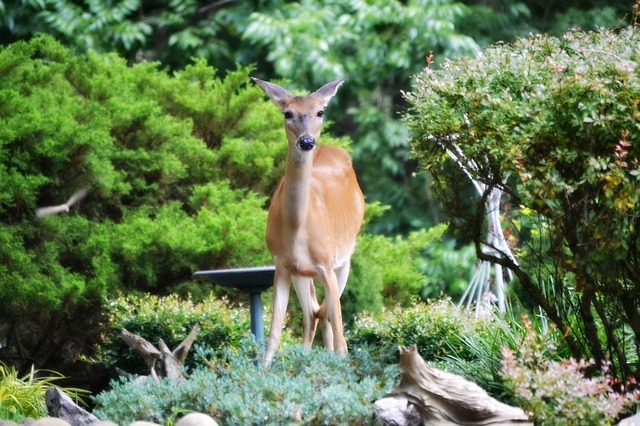 One way is to incorporate deer-resistant plants into your landscape design. There are plenty of options that work well in your garden and that will not attract deer. Keep in mind, however, that these plants are not entirely deer-proof. If a deer is hungry enough, it will eat whatever is available. But, these plants can help reduce the chances of deer destroying your flower beds. Flowers that grow well in the DC area and detract deer include Black-eyed Susan, Bleeding Heart, Foam Flower, Jack-in-the-Pulpit, and Purple Coneflower. 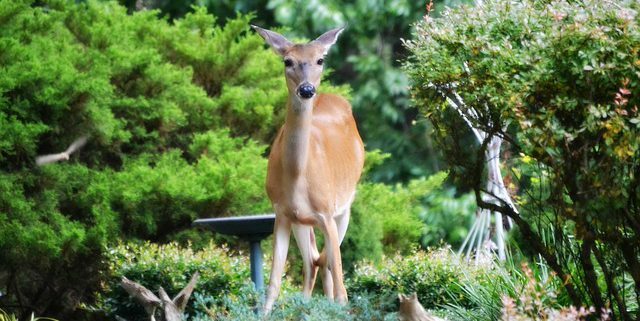 Some of the best shrubs to plant that deer will generally stay away from are American elder, Arrowwood, Button Bush, Fetter Bush, Inkberry, and Mountain Laurel. Local trees that the deer will avoid include American Holley, Bald Cypress, Black Gum, Flowering Dogwood, Honey Locust, Sassafras, and Sycamore. And grasses that deer do not like are Bluestems, Indian grass, Sea Oats, and Switchgrass. There are also natural repellents that you can use to detract deer. Some of these include scented soaps, human hair, baby powder, and even hot sauce. Spray or sprinkle these around the yard and on plants to help keep the deer away. Or, you can use motion-activated sprinklers. When the deer trigger the sprinklers, it will startle them and they will run off. If you use this option, just remember to turn them off during the colder, winter months. At Shorb Landscaping, our team of landscapers and designers can help you design a deer-resistant landscape for your yard. Give us a call at 301-897-3503.